Get Fitness Results with Karen! Female In Home Personal Training in Valrico Fl and the surrounding areas. Hi I’m Karen. I’m a Certified Well Coach, Health Coach and Personal Trainer. I’m located in Valrico, Fl and I serve the surrounding communities. The best thing about fitness is that anyone can do it! So if you have a chronic health condition, disability or you’re over 65, don’t let that stop you from contacting me. Your lifestyle and medical history is taken into consideration rendering a safe and effective workout for you. With over 20 yrs of experience, I offer goal oriented fitness programs and sound nutritional advice for clients through all phases of life. Your goals, lifestyle and availability will shape your customized program. Whether you want to compete or just “feel better”, I’m your fitness resource. I provide a free initial consultation, fitness assessments and 30/60 min workouts. I focus on the personal fitness goal of each of my clients and strive to produce achievable and maintainable results. My greatest satisfaction comes from accompanying clients and helping them stay focused on enhancing their own level of fitness and health as a Florida Personal Trainer. Your fitness journey begins with a single step. Take that step today and allow me the privilege of assisting you along the way! 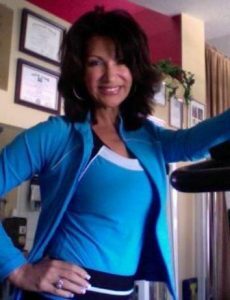 Learn more about Personal Training in Valrico FL with Karen. Submit your name, e-mail, address, city and any comments/ questions you might have.